We are disappointed that, instead of participating in good faith in mediation, United Teachers Los Angeles (UTLA) has refused to engage in bargaining, reducing the chance of a settlement and increasing the chance of a strike that will hurt L.A.’s most vulnerable students and families. UTLA continues to maintain its same set of demands, making no compromises toward reaching an agreement for the better part of 18 months. UTLA’s “Last, Best and Final” contract demands would bankrupt Los Angeles Unified and lead to the unprecedented layoffs of about 12,000 employees, including teachers. Los Angeles Unified simply cannot agree to do that. Los Angeles Unified has made a fair offer to provide all teachers with a 6 percent salary increase, provide additional pay for teachers who take courses in areas aligned with student needs, add teachers and reduce class size in high-needs schools, and increase transparency in our labor contracts. 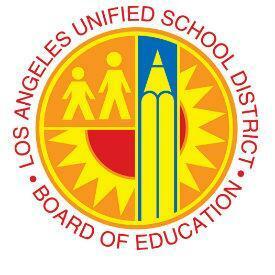 Los Angeles Unified will participate in good faith in the fact-finding process, but also remains open to any other way to resolve the issues fairly and transparently, including working toward a resolution. Instead of fighting each other, Los Angeles Unified and UTLA need to work together to make sure all of our students get the great education they deserve.